Bright and cheerful apartment located in the heart of Cadiz in front of La Victoria beach and close to the promenade, shops and restaurants and summer nightlife. 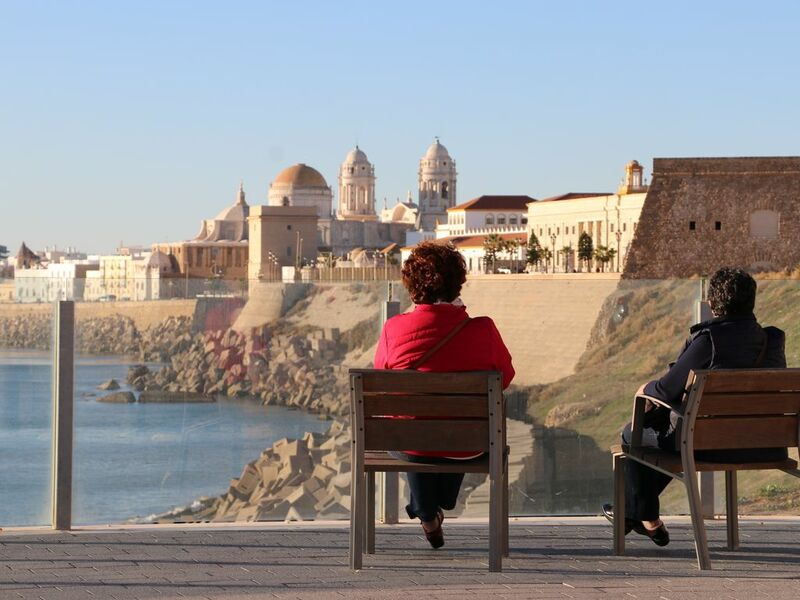 The fantastic old town is located just a pleasant walk along the promenade of Santa María del Mar beach. The property consists of three bedrooms, one with a double bed and two with a bunk bed each. One bathroom with bathtub, living room with TV and an independent and fully equipped kitchen. Ideal for families with children. This accommodation has an unbeatable location to access the rest of the towns and villages of the Cadiz province, close to bus stops, train station, and to the port where you can take the catamaran to Puerto Santa María. You can leave the car parked during the holiday. Parties are not permitted in this apartment. Don´t hesitate and book your Cadiz holiday with Costasur! la ubicación y la disponibilidad de la lavadora la cocina,los colchones horribles.Necesita una reforma.